So I just started a new site. It’s a webcomic with the Alison and Her Rainy Day Robot characters. I’m hoping to put out two of these strips per week for a year or so, see how that goes. Here’s one of the strips. If you wanna check out more, head to alisonandherrobot.com. Thanks! And I hope you like! So for my mom’s birthday, I did a fun pic for her. 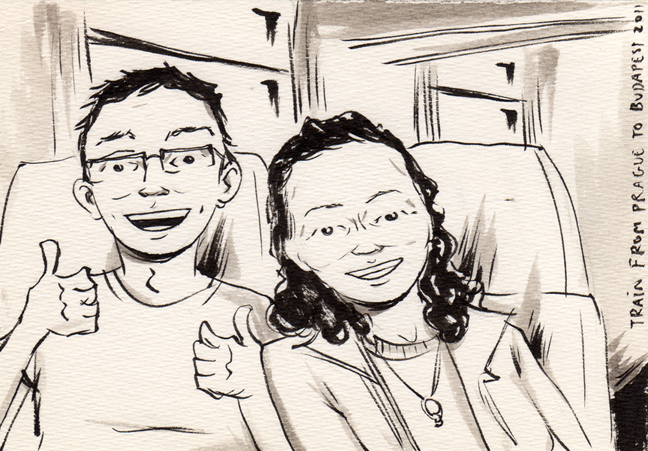 It’s based off a photo from a couple years ago when we were on a train going from Prague to Budapest. 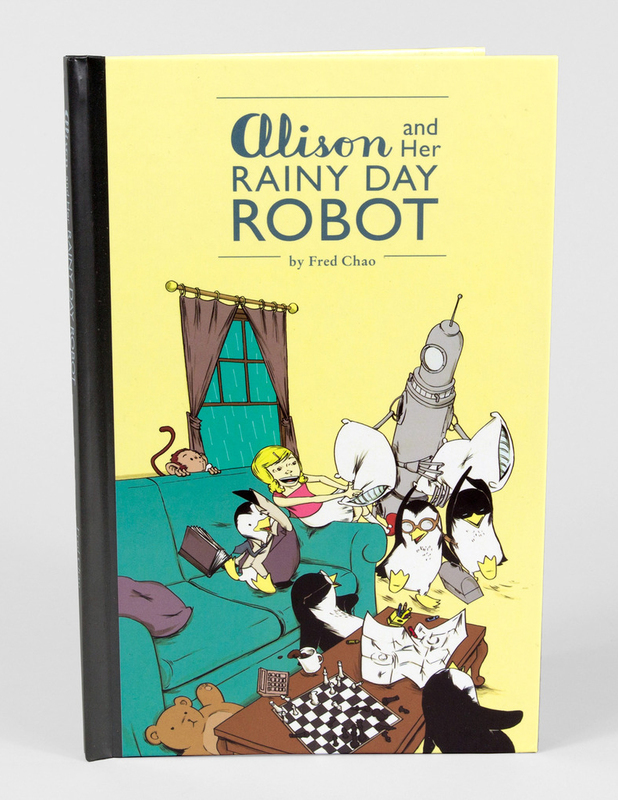 If you wanna check out the Alison and Her Rainy Day Robot book, it’s in a couple comic stores. Here’s a listing. And you can also order it through DCBService.com. 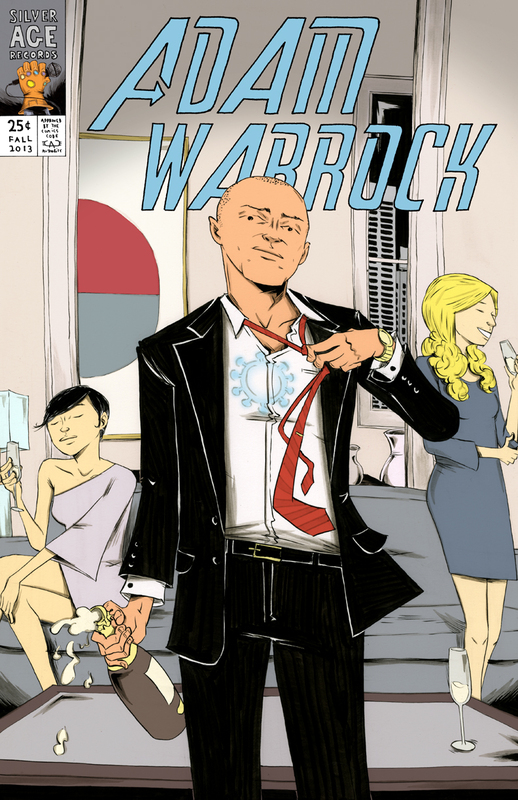 Some years ago, I got into a conversation with Adam WarRock. We talked about possibly working on something together, but of course, life gets busy. Anyway, WarRock recently put together this song as part of a donation drive. I had some time so I decided to use this as inspiration for a poster. The cool part is that, because of this, WarRock decided to give the song as a free download. So if anyone likes the song, they can get it at this link: Stark Industries. I like when nice things lead to more nice things. Fantastic Comics in Berkeley, Book Passage in Corte Madera, Floating World Comics in Portland, and LandPDX in Portland. And of course, you can order copies through DCBService. I’m still working on getting the books out there, and a few should be coming to some NYC shops soon. I’ll keep you updated. Thank you all so so much for your support.